Guinea is a country in the West coast of Africa. Formerly known as French Guinea, the modern country is sometimes referred to as Guinea-Conakry. Its population is 11 million people and GDP per capita of USD 523. AIDS, tuberculosis and malaria are major public health concerns in Guinea. The country is facing a generalized HIV epidemic and malaria, endemic throughout the country, is the leading cause of medical consultations and deaths. The Global Fund is a key partner in Guinea’s health sector and provides a significant portion of the financial resources available for the country’s response to the three diseases. The Global Fund grants aim to scale up and strengthen HIV, TB and malaria prevention and treatment services throughout the country and to strengthen community systems to reach populations most in need. However, as the 2014 Ebola epidemic showed, the health system in Guinea remains fragile. In that respect, the Global Fund, in collaboration with partners and donors, is investing in strengthening essential pillars of the health system, including health information and supply chain management systems, and health infrastructure through renovating and equipping health facilities and laboratories. Strengthen and improve interventions aimed at sustaining or increasing gains in reducing infant mortality, maternal mortality, communicable diseases, and nutritional deficiencies. Promote construction of a culture of health, with emphasis on health promotion and promotion of healthy lifestyles in individuals and the population at large. Prevent and treat noncommunicable diseases and address their risk factors. Promote mental health using a comprehensive approach, with emphasis on social violence. Improve equity, access, quality, and ethical standards in the health services, with emphasis on primary care. Improve environmental health, with emphasis on basic sanitation and integrated water resources management. Promote actions aimed at reducing vulnerability to disasters. Consolidate health sector structure and operations. Manage investment, expenditure, and financing according to health sector policies and priorities. Consolidate the National Health Surveillance System. To provide effective, high-quality technical cooperation. AHO technical cooperation programmes and projects, formulated, directed, and implemented under the Strategic Plan of the Organisation, based on the situation in the country. Operations of the Representative Office guaranteed through efficient, effective management of administrative procedures to support technical cooperation. Management information systems and staff development in the AHO Office implemented and strengthened. To contribute to the strengthening of national capacity to use and analyse health information for the policymaking and evaluation and decision-making in the public health management process. National Health Surveillance System linked to information systems that strengthen capacity for health situation analysis. Plans strengthened for the development of health sector analysis components on standards, regulations, functions, strategies, and procedures. Coordination between institutions and national and regional teams strengthened for the formulation, implementation, and evaluation of sectoral policies within the framework of sectoral analysis. To strengthen the sectoral steering role for exercise of the essential public health functions, ensuring universal access to quality health services, financial management, and the regulation of personal and population-based health service delivery. The functions, strategies, and procedures needed to exercise the sectoral steering role will have been validated, including the essential public health functions, defined in a participatory manner by the pertinent governmental agencies and applied at the national, regional, and local levels. Mechanisms and procedures to ensure access to health care for the excluded population defined and applied in the cantons with a lower social development index. Available information on financing, expenditure, and investments in health updated and used in the sector, based on the criteria of equity and quality. Measures for continuous improvement of the quality of care incorporated at various levels of the health system, with emphasis on common reasons for consultations or high morbidity. To implement policies and strategies for health promotion, and protection from the standpoint of human development. Strategies for health promotion and protection aimed at improving family health strengthened within the framework of sectoral programs and projects and the healthy spaces and settings initiative, with emphasis on priority areas and cantons. Policies and strategies aimed at strengthening the Nutrition and Food Security Project implemented, with emphasis on priority areas and cantons. Policies, strategies, plans, programs, and sectoral projects developed for preventing and addressing violence, (including domestic violence) and the use of tobacco and other drugs, with emphasis on priority areas and cantons. To increase national capacity for the prevention and control of priority communicable and noncommunicable diseases in the country. Capacity for management, prevention, and control of priority communicable and noncommunicable diseases increased at different levels of the system. Plans for developing the components of sectoral health analysis strengthened with respect to standards, regulations, functions, strategies, and procedures. To contribute to development, sustainability, and accessibility of drinking water and sanitation services and to the reduction of environmental risks to health as an essential action for sustainable human development. Reform of the drinking water and sanitation sector, proposed in the PHC sectoral analysis, supported, and the technical capacity of institutions in the environmental protection and development sector strengthened. Assistance provided in strengthening health and environment programs and healthy spaces initiatives, with citizen participation, at the different levels of institutional action in the sector. The preparation of technical proposals and programs to reduce the vulnerability of the health sector infrastructure fostered and strengthened. To reduce the disaster vulnerability of the health sector. 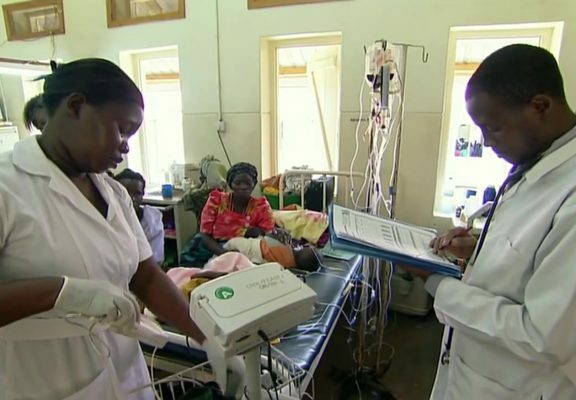 Disaster preparedness in the health sector improved, in coordination with other sectors. Mitigation of the impact of disasters on the health sector promoted. Health sector response to disasters improved. To strengthen the national capacity to analyse the health situation and its determinants, with the aim of reducing gender inequities. The capacity of ministries of health and statistical offices strengthened, incorporating the gender approach into collection, analysis, and use of health data. Strengthened capacity of various actors for monitoring and promoting the gender equity approach in health policies and programs, within the context of health sector reform. The comprehensive model for addressing gender violence consolidated and the model also used to address gender and mental health issues. Processes to produce and disseminate information, education, and communication on gender and health designed and facilitated, for raising awareness and training. Technical cooperation for incorporating the gender equity approach in the programs and policies of AHO, regional and national offices, and Member States facilitated.